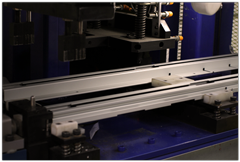 IMA produces intricate, highly tolerance, competitive aluminum extrusions, finished tube components, and welded assemblies. Our core competencies in manufacturing and quality systems provide the foundation for our technology capabilities. IMA has manufacturing operations in Asia and North America which are organized to best support our customers global requirements. Our reliability has been proven through our customers' successes in meeting the stringent OEM requirements.